This is kind of weird time for scents for me. I don't even touch any fall or winter scents even though it is still winter. I'm so over them. I tend to transition into more general, spring, and summer scents January-September which takes up most of the year. The challenge is finding new scents to try because the same scents over and over get boring. That's one of the reasons why I took a wax break so I could restock! I have some new things to try and share with you now. My wax funk is over. My Thoughts: I love melons scents especially honeydew and cantaloupe ones. This one is really nice and true life. I did find that it got really sweet and cloying when melted after awhile. I don't usually feel this way about melon scents, but this one needed perhaps a water note or air note to mellow it out a bit. My Thoughts: This scent is an absolute winner. It's a great blend of a soft floral, green watery cactus note, and just the slightest touch of fresh coconut (not sunscreen-smelling or synthetic). This scent does have an upscale/spa-like quality to it as well which is probably why I like it so much. I'll be needing more this scent for sure. Scent Description: Beachy lime, pineapple, and sweet candy sugar are sprinkled with fresh Hawaiian sea salt for a scent straight from the shoreline. My Thoughts: Based on the scent description I thought this was going to be overpoweringly fruit and sugary, but it's not. It's really a soft ocean sea salt scent with subtle hints of lime, sugar, and pineapple in the background. This is another winning scent for me. It's fresh and natural and really does remind me of the beach in a non-stereotypical way. 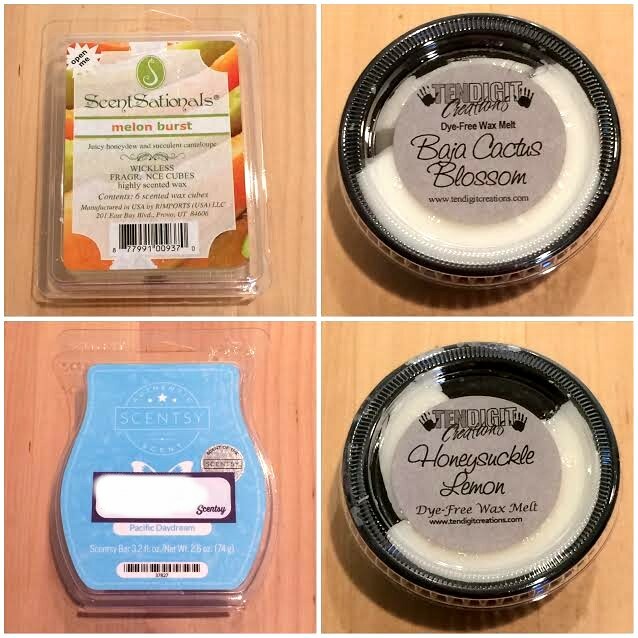 My Thoughts: I love the smell of honeysuckle, but I was hesitant to try this one because of the lemon. Most lemon scents go into Lemonhead candy range for me which is just too sweet for my tastes. I was worried that honeysuckle already being a sweet flower and lemon would just end up being too sweet. Thankfully, I was proven wrong again. This is a great blend and the lemon in here is tangy and zesty like the description. The honeysuckle and lemon balance each other out here perfectly and it leaves you with a very clean and natural scent. We have yet another winning scent!